Collecting 78 Records is a recent hobby of mine. I enjoy going into antique stores and finding 78 Records and playing them on my record player. There is just something enjoyable about listening to the snaps, crackles, and pops on vintage record players that digital cannot capture. I think for me it is the connection to the past. That shared experience of selecting a record, setting it, adjusting the needle, and playing it that digital music lacks. Digitized music can come across as impersonal (after all it is nothing but 1s and 0s) whereas music in a physical format is deeply personal. The purpose of this article is to provide historical reenactors with some basic information regarding period-correct records. The idea is to give a reenactor who may not know enough about records some “rules of the record” to visually identify a period-correct record. This project series will be organized around record labels. 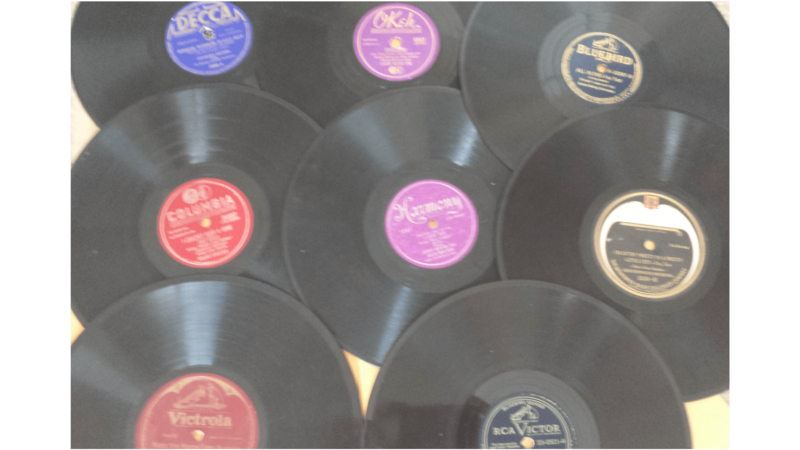 It will focus more on the common record companies prior and during World War II. Clearly, any record from any company (including some of the smaller record companies/labels and the companies/labels that were defunct by WW2) could have been played in a player. Budget labels and older-named labels will be include where relevant.